A strong cast makes easy work of Working. 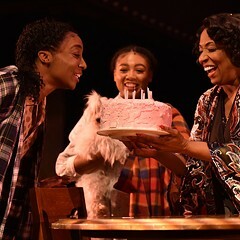 Through 5/8: Tue-Sun, Broadway Playhouse, 175 E. Chestnut, 800-775-2000, broadwayinchicago.com, $67.50-$77.50. Did you notice? On the Academy Awards show a couple Sundays ago, more than one winner was careful to thank the union people who worked on his movie. Couldn't have done it without them. Apparently, Hollywood has gauged the zeitgeist and decided it's time for gestures of solidarity with, say, the protesters fighting to protect their collective bargaining rights in Madison, Wisconsin. Hard times—and the growing realization that the rich have no immediate plans to share them—may be ushering in a new era of labor consciousness. If so, Working is uniquely positioned to benefit. Based on the sprawling 1974 book of interviews by Studs Terkel—in which, as the subtitle puts it, "people talk about what they do all day and how they feel about what they do"—Stephen Schwartz and Nina Faso's musical covers all manner of employment. There's an iron worker and a receptionist, a grammar school teacher and a trucker, a prostitute and a fireman, a publicist, a student, and a cleaning lady, a socialite who raises money for pet causes and (appropriately, considering the state of the press) a former newsroom assistant—all singing themselves. What's interesting is how few are celebrating themselves as well. But they're the exceptions. Few here outright hate what they do—a woman who works with damp felt in a luggage factory is probably the most aggrieved, and if the beautifully choreographed vignette about her hours on the shop floor is accurate, she's got an absolute right to be so. Practically everybody else is ambivalent at best. Or just plain bewildered. They spend the lion's share of their waking life doing things that offer feeble rewards (the UPS man tries to startle sunbathing women out of their unhooked bras), things for which they feel like apologizing (the most famous song in the show is "Just a Housewife"), things they have to rationalize into meaning. No wonder one of the big production numbers is called "If I Could Have Been." The worst of it is that most of this material was part of Working when it premiered on Broadway in 1978. Not only do the depressing parts still ring true, but the positive parts come across as nostalgia. There's a construction worker in the show, for instance, and he's got a job. Tellingly, the elements that have been added for this excellent revival reflect the growth of the service economy: we get songs from a burger flipper, a nanny, and a guy who tends to the needs of old folks, changing their clothes and taking them on outings to the senior center. Pretty bleak, all in all. You can even feel bad about the cast list, if you're so inclined. The original Working opened with an ensemble of 17; this streamlined version employs only six union actors. Still, those six are choice—three old hands and three young talents, all familiar to Chicago audiences. If I didn't end up feeling like killing myself at the end of this show, it's because Gene Weygandt can move so smoothly among roles as an ironworker, a stoop-shouldered retiree, and a kibbitzy publicist with an existential crisis. And because Gabriel Ruiz does such an endearing take on that most reviled of creatures, the foreign tech support guy. And because Barbara Robertson can look so lost as the teacher, Emjoy Gavino so radiant as the nanny, and Michael Mahler so idiotically eager as that leering UPS man. 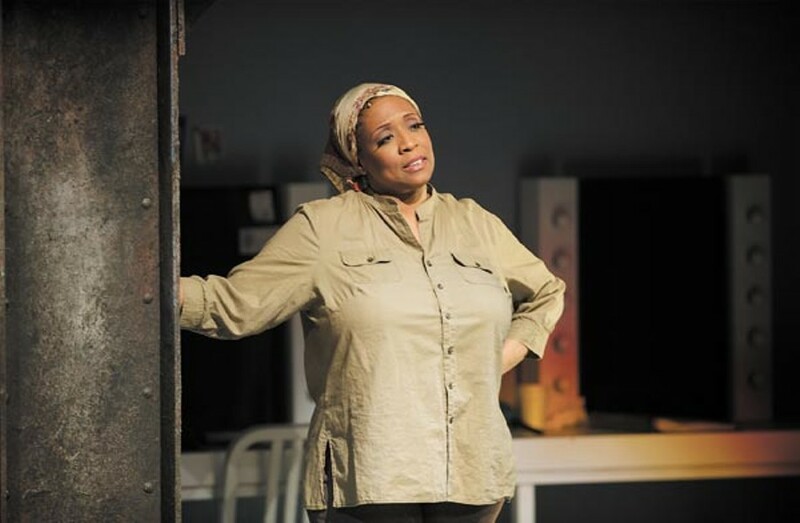 And most of all it's because E. Faye Butler has the biggest voice in show business and knows precisely how to use it. The cast, the live musicians, and the visible techies—including dressers who help the performers on and off with their costumes—are all so extraordinarily accomplished here that it just gives you back your faith in American craftsmanship. The rest of Porchlight’s raucous revival shines around her.